Much has been written on social, economic and political change in modern Wales but relatively little attention has been given to the place of religion in contemporary Welsh society. Despite the historically high profile of religion in Wales, many religious institutions are now struggling to maintain themselves in what can only be characterized as a post-Christian landscape, where a culture of customary religious obligations increasingly being superseded by a culture of choice and personal autonomy in religious matters. Marking the centenary of the last great religious revival in Wales, this volume seeks to explore the relationship between secularization and organized religion through a detailed study of the mechanisms of decline and growth as they affect the churches and chapels and their personnel. 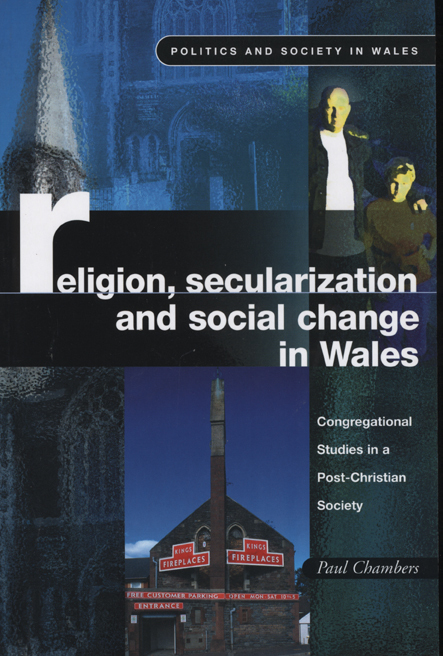 Throughout, the author seeks to relate these issues to the wider social, economic and cultural changes occurring in Wales and to recent theoretical developments within the sociology of religion. Written with the general reader as well as the academic in mind, this lucid, lively and informative account of religious change will be of interest to sociologist, students, religious professionals and all those with an interest in the future health of Christianity in modern societies.